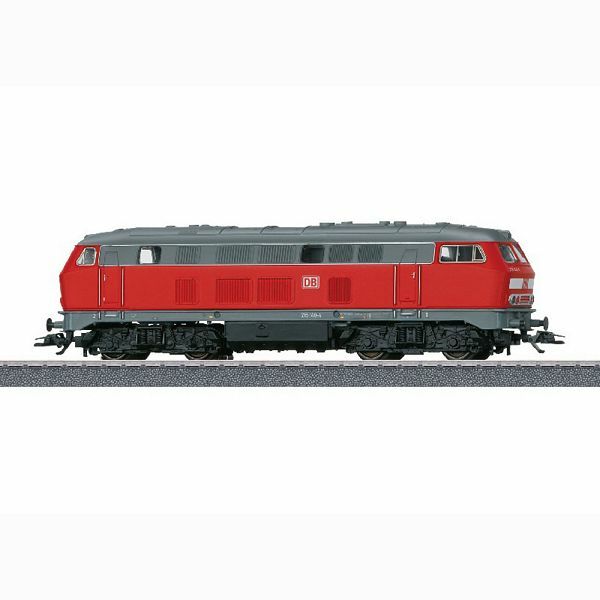 Prototype: German Railroad, Inc. DB AG class 216 diesel locomotive. Version in Traffic Red paint scheme. Model: The locomotive has an mfx digital decoder and high-efficiency propulsion. 2 axles powered. Traction tires. The triple headlights change over with the direction of travel, will work in conventional operation, and can be controlled digitally. The locomotive has close couplers. Length over the buffers 18.2 cm / 7-1/8".